The U.S. Geological Survey (USGS) Mobile Atmospheric Mercury Laboratory is capable of measuring in real time the concentration of three forms of mercury in air, as well as relevant air quality parameters and wind speed and direction. The laboratory was designed to determine the relative importance of local, regional, and global sources of atmospheric mercury. Atmospherically deposited mercury, given the right conditions, can be converted to a toxic form of mercury know as methylmercury. The mobile laboratory has been deployed at numerous sites across the country to aid federal, state, and local agencies assess mercury contamination issues. Map showing locations of atmospheric mercury monitoring stations and the relative concentration of mercury in air in Yellowstone National Park, Wyoming. One of the greatest uncertainties in the mercury research arena is the relative contributions of natural versus anthropogenic mercury emissions to the atmosphere. Volcanoes are cited as being one of the most significant natural mercury emission sources, and Yellowstone National Park, Wyoming, is located within one of the largest volcanic calderas in the world. The USGS and a team of other collaborators (University of Wisconsin-Madison, University of Nevada-Reno, and the Idaho National Laboratory) conducted a study on the mercury emissions from the Yellowstone caldera to provide the first estimates of the gaseous emissions from this potentially important source. Field-deployed USGS Mobile Atmospheric Mercury Laboratory at Four Corners Study Site, CO. The laboratory can continuously sample mercury aerosols using a time of flight mass spectrometer that provides detailed chemical analyses of mercury aerosols. 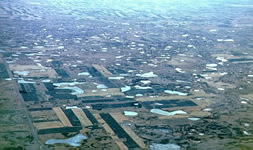 The Four Corners Area is home to several large, coal-combustion electric utilities, as well as to several mercury-impacted reservoirs. The USGS, the University of Wisconsin-Madison, and Carleton College teamed together to conduct a study on source-receptor relations at the Sanchez and McPhee reservoirs in southwestern Colorado. The study is evaluating whether mercury emission sources in the area might be affecting the loading rate of mercury in these sensitive aquatic ecosystems. The research team is using a multidisciplinary approach to assess the relative importance of local versus global mercury sources. The tower on the back of the USGS Mobile Atmospheric Mercury Laboratory on-site at Mt. Horeb, WI. The laboratory is designed to pump in air for analysis of mercury species (elemental mercury (Hg0), gaseous ionic mercury (Hg+2,+1), and particulate mercury). The ability to conduct atmospheric mercury deposition studies has increased substantially over the past five years with the development of instruments capable of making low-level, unattended measurements on three forms of mercury in the atmosphere. With these instruments, scientists can assess the relative importance of contributions from local, regional, and global sources at any particular monitoring location. This study included mercury source attribution combined with a test of how well these instruments performed under field conditions. The USGS and the University of Wisconsin-Madison and Carleton College each set up mercury monitoring stations at two remote settings: Mt. Horeb and Devils Lake, Wisconsin. The study will assess whether similar observations would be made at two similar and nearby locations using the same suite of instruments. 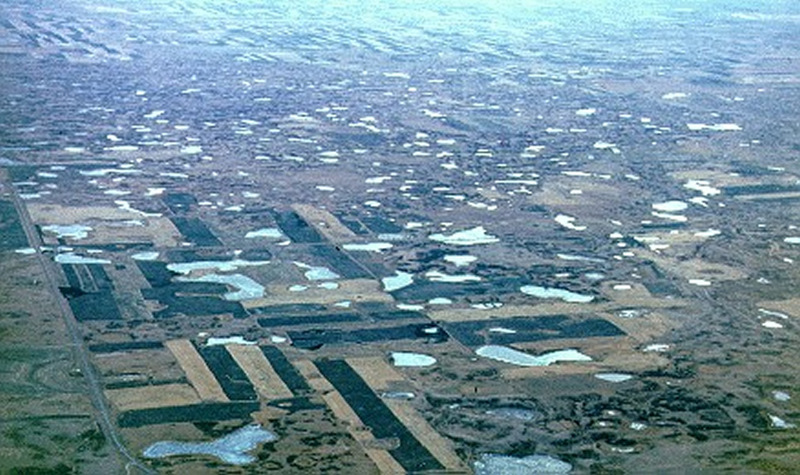 Lostwood National Wildlife Refuge, North Dakota, has numerous small wetlands that are potential sites for the formation of methylmercury. Photo Credit: U.S. Fish and Wildlife Service.